I'm a lady of my word. So, when I told you a few weeks ago (after going to the Rebecca Minkoff Sample Sale) that I was going to take advantage of living in New York and go to more sample sales, I followed through! All for you readers, all for you. 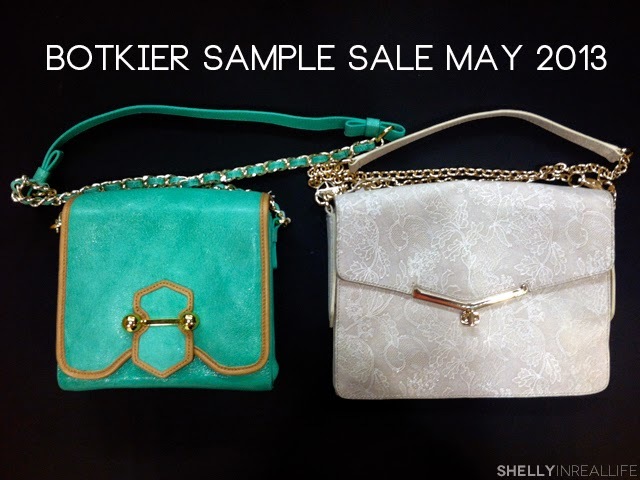 I've been coveting a Botiker bag ever since I first saw it on Lani at SugarRock Catwalk. 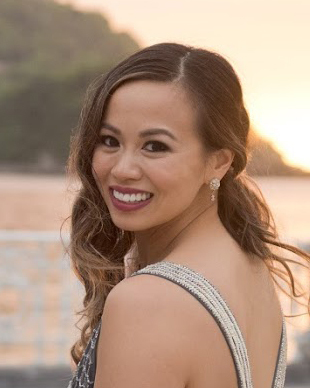 And, if you follow fashion blogger Aimee Song at Song of Style, then you will know that she is the current face of Botkier and she actively promotes a Botkier bag in almost every other post. 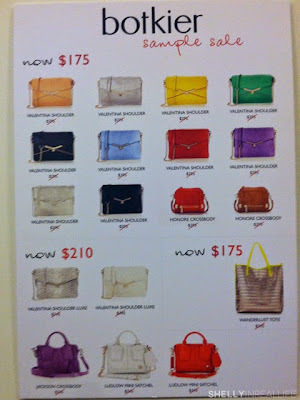 And of course, the more I saw the Botkier Valentina purse, the more I wanted one for myself. So when I saw that the Botkier Sample Sale was coming to Chelsea Market - a quick stroll from work - there was no avoiding it. I had to go check it out. How's the line - Got there this morning right at 9:50 AM, 10 minutes before the sale started and there were about 20 other ladies who were also standing outside waiting to get in. 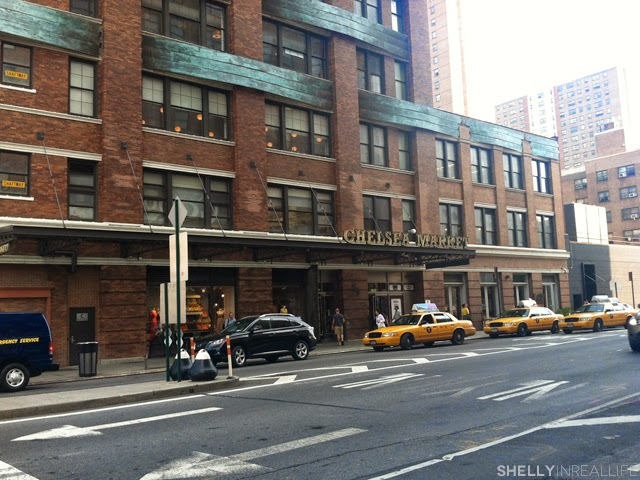 As I stood outside the glass doors, I was able to quickly scope out what was available and where things were located. The opened the doors 5 minutes early and I walked right in. Easy peasy! The store isn't too big but was very organized - all the current season's bags are all readily available in front of store, with older samples further back. 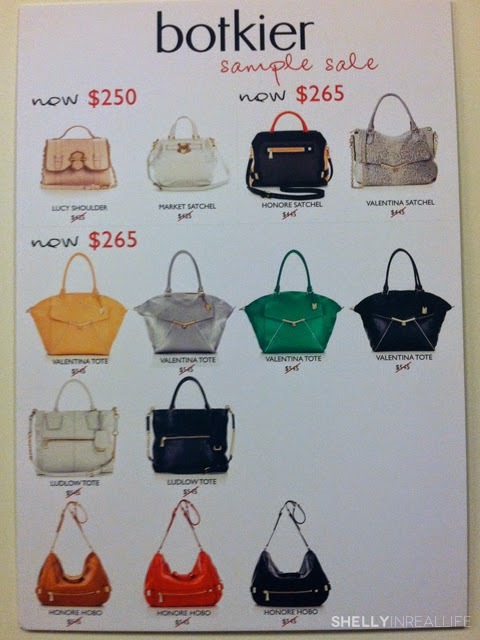 How discounted are the bags? As I mentioned, I've been wanting a Botkier bag for a while now, so I've been tracking the price of these bags for a while. 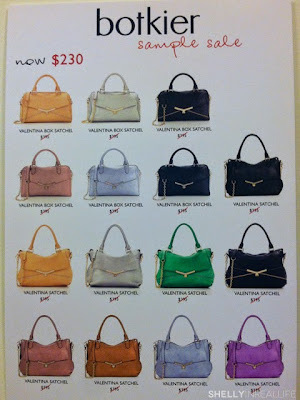 Since I've subscribed to their newsletter Jan 2013, I've received one 20% off a Valentina bag offer and two 50% off the entire website offers in my inbox. I actually saw the same Leopard Valentina bag selling for $100 at the sale, so it's even cheaper online if you can find it. 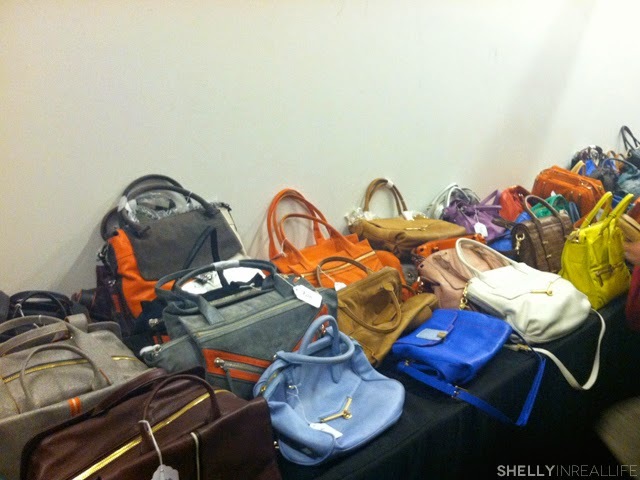 Do some homework, make sure you're not falling into the trap of the sample sale! The Real Savings are in the samples. With that said, it seemed like to me that the sale didn't really satisfy my "at least 50% off mentality" on this season's merchandise. So the real deal was on the two tables towards the back of the store where they had all their sample bags that look like it's been previously loved. The samples I found were anywhere from $50-225, which was where I ended up picking up my beauties that you saw in the photo above. I've asked the staff and it looks like they'll be restocking through the sale, so you never know what you'll end up finding! In the samples, I spotted plenty of purses that I've been eyeing on the Botkier website like the Valentina Shoulder Sky for $100 and Wanderlust totes and shoppers heavily discounted as well. 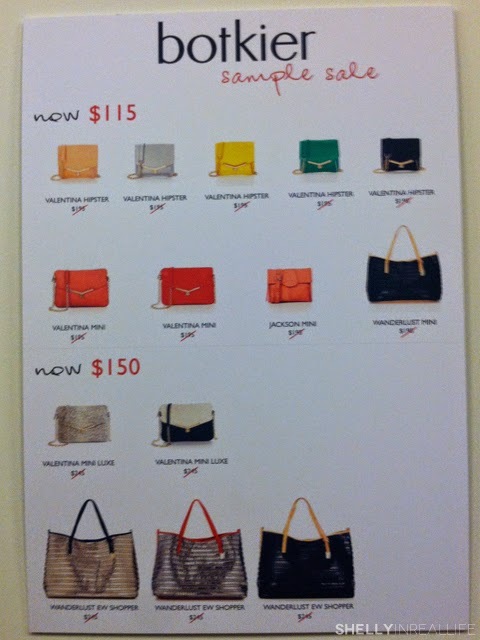 So there you have it, if you've been wanting a Botkier bag, the sample sale was pretty good if you looked through some samples or if you don't want to wait for another online sale. If you're patient, then I say sign up for their e-newsletter and make sure you get notified of any sales they have. 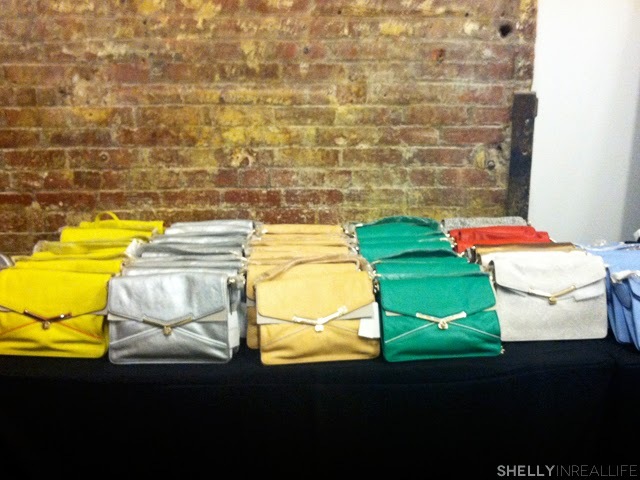 Come on by to Chelsea Market to check it out! If nothing else, you can pick up some great food in the market and go take a stroll along the highline in this lovely weather. Enjoy!